Note: We are taking a break from reading through the story of David to focus this week on the theme of giving thanks (since it’s Thanksgiving, after all). As you prepare for and enjoy the Thanksgiving holiday, may you remember to give thanks to God for all that God has done for you! 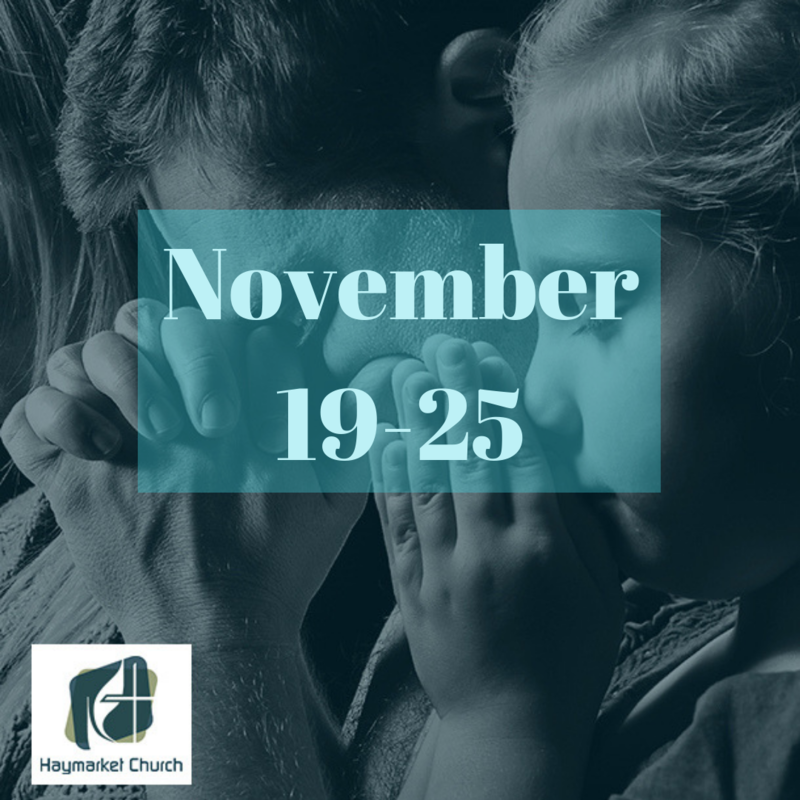 Saturday, November 24: Review and reflect on Scriptures from the week. Sit quietly and ask God to show up. Sunday, November 25: Show up to worship and experience Scripture and prayer together with your church. If you can’t make it to worship, go to our Facebook page or HaymarketChurch.org/livestream-worship to worship online (either live or later). Prayer Focus This Week: Give thanks to God for the good things (and people) in your life. In addition, take time to pray for those for whom this is a hard week – people who have difficulty going home, who will experience emotional (or other) pain from during their holiday celebrations, who are estranged from their families, who are alone during the holidays, and other difficult situations. And, if you know someone for whom the holidays are difficult, reach out to them to let them know you’re there for them. Action: Make a list of all the good things in your life for which you can be thankful. Add to the list every day. On Thursday, share the list with the people with whom you will celebrate Thanksgiving.